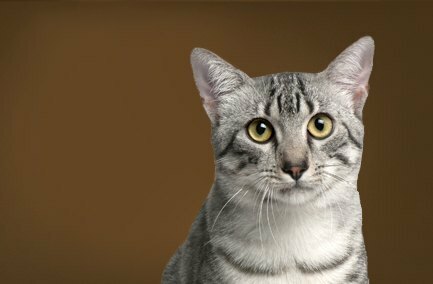 The Egyptian Mau is the only natural domesticated breed of spotted cat. The Egyptian’s impression should be one of an active, colorful cat of medium size with well-developed muscles. Perfect physical condition with an alert appearance. Well balanced physically and temperamentally. Males tend to be larger than females. Considered one of the fastest domestic cats in the world (up to 30mph), the Mau personality varies from affectionate to aloof. Very few inherited diseases or health risks associated with the Mau.